Mr Turkey, Mr Turkey Run away, Run away If you don't be careful You will be a mouthful Thanksgiving Day Thanksgiving Day! Nicholas was so excited to have Sal sing to him again. Sal and two classmates sang Mr Turkey to Nicholas's class Tuesday and the boys preformed for all our Thanksgiving guests. Aunt Ty-Ty surprised the kids with her Turkey Cupcakes, they were gobbley good! Holiday gifts became Thanksgiving gifts! The kids drew a name to buy for at the Gator Holiday Shop. With $2.00 is hand they picked out their Christmas gifts.... but those gifts called their names this morning to open up! Kelli bought Nicholas a mini football and a backpack pal duck. Nicholas bought Emma a Tinkerbell necklace. Emma bought Kelli a #1 sister pen and a gem bracelet. Vinny stretched his $2.00 for Sal, getting him an airplane, a monkey stationary set and a popper. Vinny is a member of his schools golf team. Vinny received two awards (participation and tournaments) and a certificate (skills) this year for golfing. Vinny was very proud to be honored at school for earning all A's during the first nine weeks. Holywalkamolies! We are in the Newspaper! 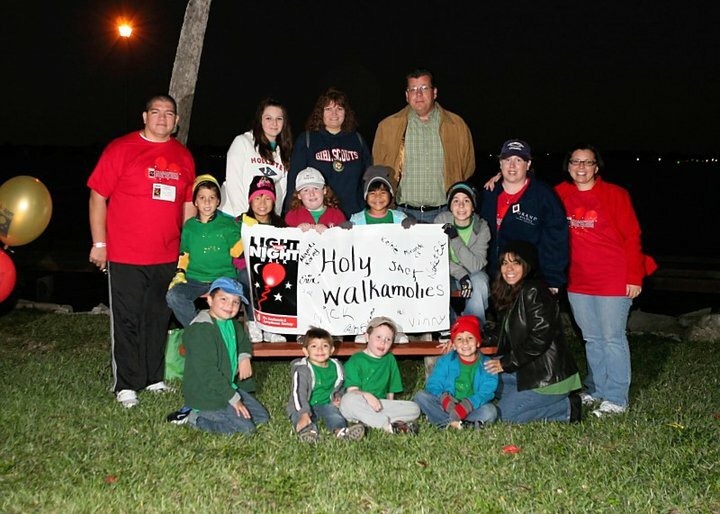 Team Holywalkamolies was in our local newspaper for participating in Light the Night 2010. Our girls are very proud to Light the Night! Happy 3rd Gotcha Day to our beautiful Kelli-Bell!